What lessons have we learned from the history of tech? Throughout history, we have endured a love-hate relationship with technology and the speed of change that comes with it. Despite the history of the human race being just a google search or Alexa question away, it seems that we are destined to repeat the same mistakes or continue to underestimate and fear the speed of technological change in equal measure. Many refer to the current digital transformation of everything as the fourth industrial revolution. You may have learned about the radical group of 19th-century textile workers who destroyed weaving machinery as a form of protest, but this highlights the importance of educating workforces and removing the fear of change. Equally, when Henry Ford famously said: “If I had asked people what they wanted, they would have said faster horses,” he perfectly highlighted the importance of thinking bigger, differently, and embracing innovation. Although it’s easy to dismiss these primitive attitudes from our past and pat ourselves on the back for being much more forward-thinking and adaptive to change, there is an argument that very little has changed. In 1995, Bill Gates appeared on the David Letterman Show and tried to convince an unimpressed talk show host and his audience that something called the internet would transform their lives. As the Microsoft CEO enthusiastically talked about email, web browsing, and how it would transform multiple industries. Everyone laughed. As unlikely as it sounds, back in 1995, the entire internet was written off as another “fad” that would soon disappear. We all know what happened next as household names such as Blockbuster video and Kodak and entire industries crumbled by failing to listen. Sure, leaders and keynote speakers are repeating the mantra “disrupt or be disrupted” to anyone who will listen. But how much have we actually learned from our past? How many people react to the mention of blockchain and cryptocurrencies is remarkably reminiscent of the Letterman audience in 1995. Crypto-based conversations quickly turn into comparisons with the dot-com bubble, and counter-arguments quickly ensue about companies such as Apple and Amazon that survived and became the tech behemoths of today. However, a quick look at the internet darlings of 1999 reveals a list of names that no longer exist. It’s crucial to remember that companies such as Lycos, Netscape, Pets.com, eToys, Webvan, Geocities, and Infoseek were the Litecoin, Lumens, Ripple, and ZCash of their time. But in a flash, they were gone. Back in 1998, it would be at least another four years before an Apple investment would reward early investors. But at that moment in time, there were very few people with a vision to see what it would become. I genuinely believe that blockchain and cryptocurrencies will transform multiple industries in the same way as the internet did before it. However, we currently have hundreds of companies valued at insane amounts of cash that are armed only with a concept and a white paper. Over the last few months, I have even seen an ICO valued at over $100 million celebrating the launch of a website and EOS receiving $4B in funding without a working product. 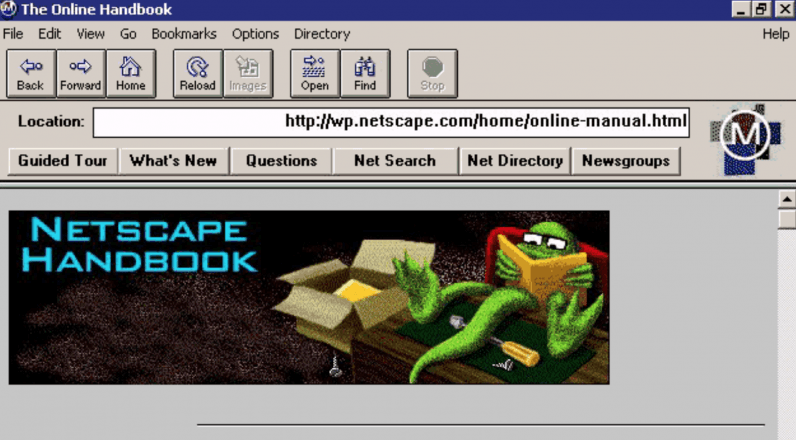 In the same way that Bitcoin rules the world of cryptocurrencies here in 2018, it’s also important to remember how Netscape was the first commercial web browser that ruled the web in the days before Google, but it has now been airbrushed from our internet history. Currently, the crypto landscape is full of early adopters and dreamers foolishly hopping from one next big thing to another in the hope of securing a Lambo and internet bragging rights. A cryptocurrency should be a sports team that you blindly follow and support. The entire community needs to come together, rather than criticize anything or anyone that doesn’t share their worldview or narrative. Crypto needs to attract mainstream adoption from businesses before it continues to mature and evolve. Ask yourself, how many functional cryptocurrency applications are available right now? The inconvenient truth behind the valuations is that the solutions of tomorrow simply have not been created yet. These are just a few reasons why we should be focusing on the building blocks and foundations of our future infrastructure rather than a solution to another problem that doesn’t even exist. We need real-world solutions that are widely adopted by businesses across multiple industries. Right now, we have lots of sizzle and no steak, much like when Apple first launched its mobile App store in 2007. The game-changing moment is just around the corner and 10 years from now, many will ask why businesses didn’t see what was coming their way. In 2018, ask yourself who will become the business enablers and Ciscos of tomorrow? Who can remove pain points and third-parties from unnecessarily complex business processes? These will be the big winners of the future, not the buyers of a Lambo or any other depreciating asset for that matter.